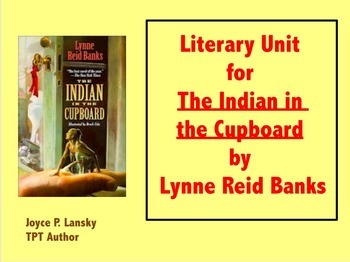 Have you read Indian in the Cupboard? 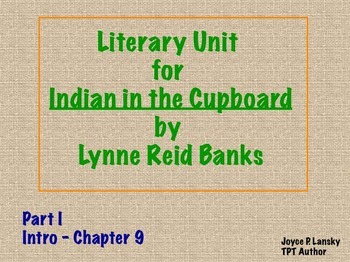 This great book, by Lynne Reid Banks, takes the reader through an imaginative journey when Omri discovers a cupboard which makes toys come to life. If you choose to teach this wonderful book, please consider purchasing my teacher supplies to go along with it. This 195 page power point, to accompany the teaching of The Indian in the Cupboard by Lynne Reid Banks, contains vocabulary activities, higher level thinking questions, and activities. I used these lessons with my gifted and talented fourth grade students. If you are lucky enough to have a Promethean Board, please find an identical product available in Active Software. I broke this unit into two parts because with so many pages, the flip charts moved too slowly for a complete unit in active software. 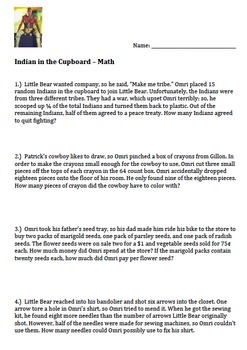 I've also created math word problems to go along with the book.